Zanganeh said oil market stability through balanced supply and demand will remain a priority for OPEC under all circumstances. 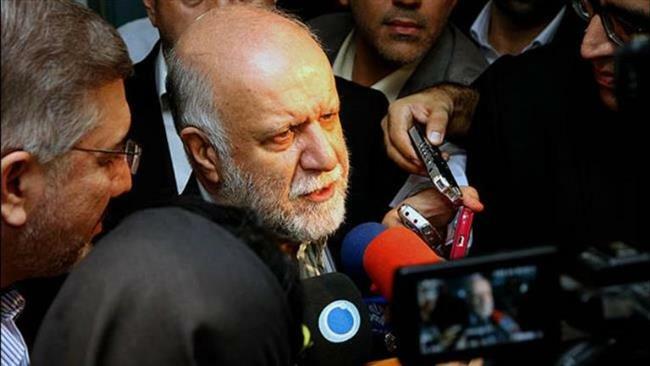 Iranian Oil Minister Bijan Namdar Zanganeh says Iran’s return to global oil market will be gradual once international sanctions against the country are lifted. Emphasizing that Tehran attaches great importance to its share of the market, Zanganeh said, “…for long-term and mid-term, the new form of Iranian contract for new projects … will be introduced and we [will] sign new contracts based on this new framework and structure, which we believe will be more attractive for the investors” and international oil companies. He added that oil price must be held at a level that would motivate investment and promote competition. “The energy industry must be depoliticized, free from sanctions and limitations and [with] access to financial services, technology and markets,” in order to ensure further development of production capacity in OPEC member countries, Zanganeh said. Upon his arrival in the Austrian capital, he called for an “appropriate decision” by OPEC to curb a global oil supply glut. Major topics to be discussed at the seminar include the global energy outlook, market stability, oil investments, technology and the environment, and the state of the world economy.